There’s a lot going on this years Spring Train! Bring a few locomotives and wagons so you can test drive on one of our Märklin tracks – both analog and digital. Premises and exhibitions are refreshed, the café is loaded with home baked cookies. 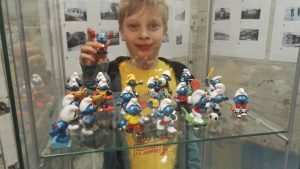 All the small models are trimmed so that the children can run themselves and have some fun. 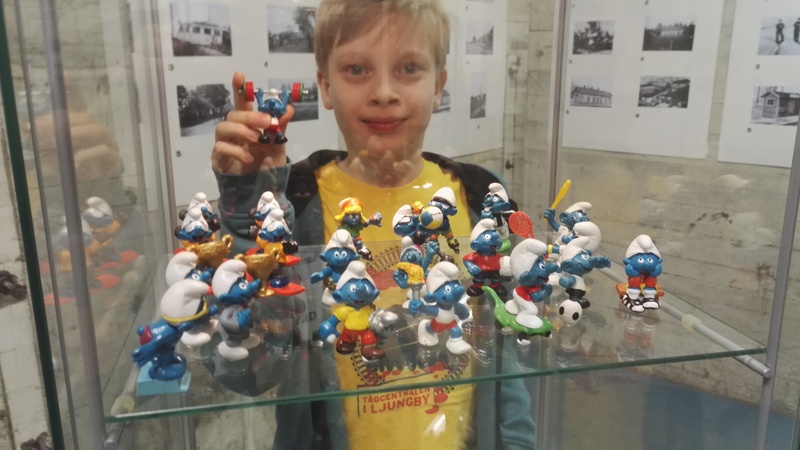 At Vårtåget we present an exhibition with 300 Smurfs, which Rasmus has arranged in different categories and stories. And of course, there will be a competition for you. Find the spring flowers and win the well-known T-shirt from TågCentralen.